Mrs. Kat, how did you decide to let go and start decluttering? Was there a key event or was it a longer process for you to begin? For me, this was vital. I realised that all this old stuff, all the old memories of my grandma and my childhood, wasn’t as important as our marriage. I slowly started to declutter the first things which were really important to me – my LPs. It didn’t save our marriage. Yet, when Mr. T moved out, I still continued. Letting go became so much more important for me. If I recall correctly, the band Silvermond released the song “Leichtes Gepäck” (light luggage). How fitting! 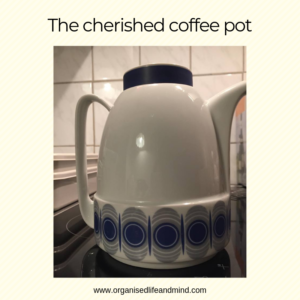 Have you finished decluttering your home and mind? Since then, it’s a continuous process. My attitude towards things has change. Before, it was so important to me to keep the memories alive. There was never the question what piece to keep. I’ve learnt to let go – especially of old memories. My family and friends and all the wonderful memories are within me. For that, I don’t need any material pieces. Just like in the song “Leichtes Gepäck”, it became such a strong urge to travel with light luggage. 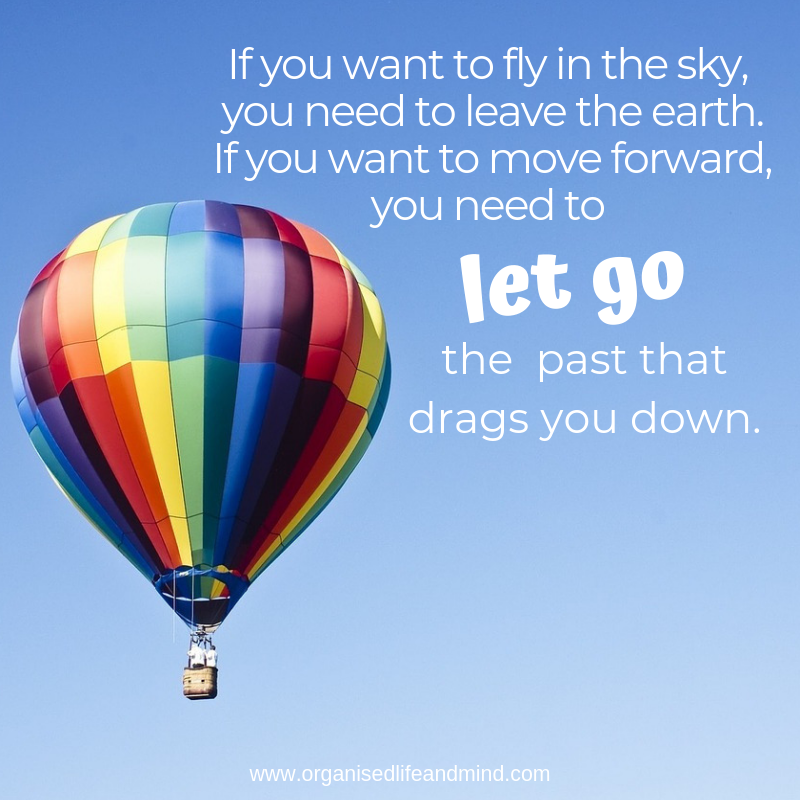 The process of decluttering and letting go will continue for me. I still have a number of bowls and vases which I find beautiful. It’s still hard to simply throw pieces out. They may be of use for others. But in reality, I don’t always make it to Sozialkaufhaus (the recycling co-operative) or to fill my cabinet at the second hand show or to use eBay properly. That’s my homework for the next few weeks. And oh by the way, I can’t wait to declutter my mom’s house. As you decluttered, what was easy for you? 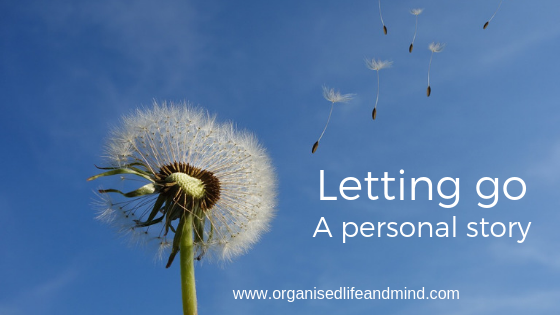 Where there also moments when decluttering felt challenging for you? Like I said before, throwing out items which were just fine was and is tough. Who surprised during your decluttering and letting go process over the last 3 years? I surprised myself! The change in my attitude and mindset. Wow, I would have never expected it to change that much! As you’re continuing the process, what or who motivated you until now? It’s all going back to the lighter luggage. We’ve moved a few weeks ago and what a difference it is to move with fewer boxes! It’s also having a less chaotic apartment. Tidying up and cleaning is so much easier when you have less. Fabulous! And it’s the being free from the old stuff. The letting go! Who or what have you been proud as you let go? Myself! Seeing the changes within me. It’s truly priceless. Now, let’s be honest. What are the advantages of decluttering? Clearly the liberating feeling, having less to drag you down. It cleared my soul and mind. I’m travelling and living in a much lighter way. During the actually decluttering, constantly making a decision (keep – let go) can be exhausting and seeing the bags of no longer wanted stuff was odd. It did cost me energy taking the things I no longer wanted but which were still useful for others to the second hand shop or Sozialkaufhaus (the recycling cooperative). 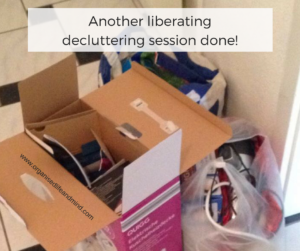 Mrs. Kat, thanks so much for sharing how decluttering improved your life. Enjoy the lighter travel! If you also want to transform your life and mind, contact us. Find out how we can support you, regardless of where you are in the world. We used email, Facebook and calls to support Mrs. Kat’s decluttering journey. Take that first step today. Drop us a note.